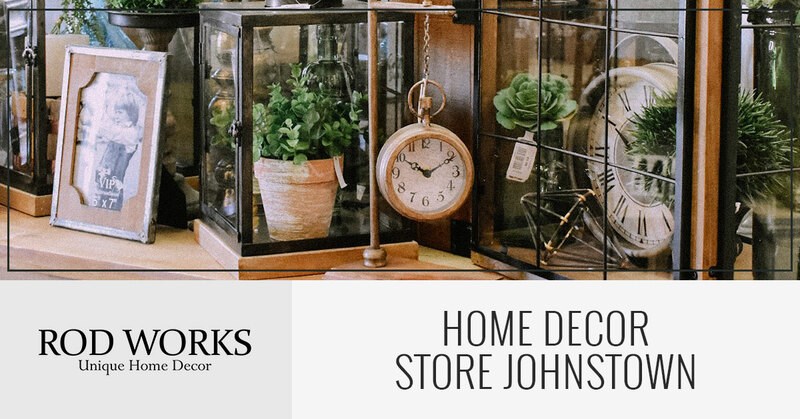 If you’re looking for a unique collection of decor at affordable prices, visit Rod Works in Johnstown. The moment you walk into our home decor store, you’ll be inspired to create and decorate with pieces that are high-quality and beautiful. You’ll be welcomed by friendly employees who will be happy to answer any questions or offer some tips to ensure you’re home is exactly how you imagined it. We offer pieces that will work for any space in your home, both indoor and outdoor. Visit us today or read some expert decorating tips. Have you ever been shopping at a home decor store for holiday items and ended up pushing around a cart that has nearly everything in it? We understand, we’ve been there. But the problem with this scenario is that when you get everything home and displayed nicely on your mantle, dining room table, living room wall, kitchen counter, bathroom mirror, and even the dog, it can be a little overwhelming. We know the feeling of seeing things you like and needing them in your home, but when it comes to design and adding holiday decor, sometimes less is more. 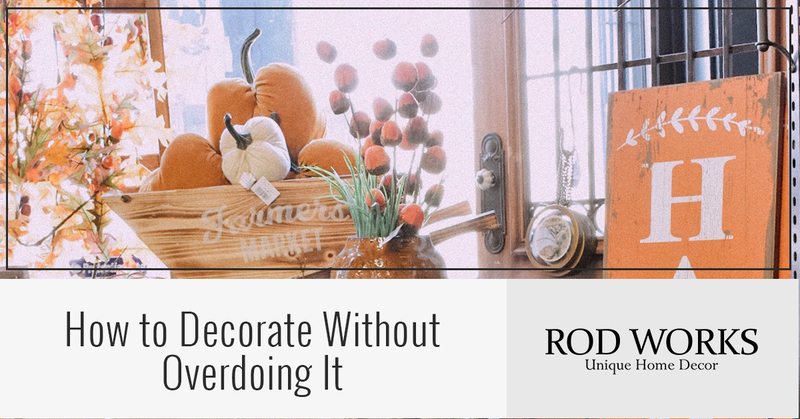 At Rod Works in Johnstown, we want to help you add some fall decor to your home without going overboard! Trust us, it is possible. So before you visit our store, read these tips and we hope to see you soon! A common fall decor idea is tall corn stalks on the front porch. When corn stalks are bundled together, wrapped with some twine, a cute scarecrow made of fabric resting on it, and some pumpkins or gourds scattered around the ground, it creates a balanced scene. But just think about it — do you ever see this design without the pumpkins or gourds? The difference in height is what creates the balance. Take this same strategy inside your home too. A large vase on the floor with tall sticks should not be the only thing in your living room — balance it with short candles for example. Similar to the idea of varying the height of your decor, you also want to vary the weight of objects from one side of the room to the other. If you have a mantle on one end of your living room, this is an obvious surface to place decor on, but when you look at the opposite wall of the room and it’s empty, this creates an off-balance. If there are mini pumpkins on the mantle, for example, keep it simple and add a framed piece of art with some fall colors in it on the opposite wall. Considering the bright colors of fall, it can be easy to quickly feel like you’re living inside of a pumpkin if you’re not careful. Keeping the design balance strategy in mind, remember that you don’t need to have every surface covered with some type of fall decor. Spread the pieces out throughout the home and sprinkle it throughout each room. Some leaves spread out on the coffee table, a small pumpkin or two on a bookcase, and a wreath on the wall may be just what the living room needs. So much of fall decor comes down to pumpkins and fall colored leaves. But when you think about it, there’s so much more to fall than these two things. And it’s often easy enough to bring a variety of fall-themed items into your home without overdoing it. Items like acorns, corn, small squirrel figures, scarecrows, apple scented candles, real apples in a bowl, pine cones, vases, and more. Scattering several of these smaller items can sometimes have a bigger impact as fewer larger pieces. 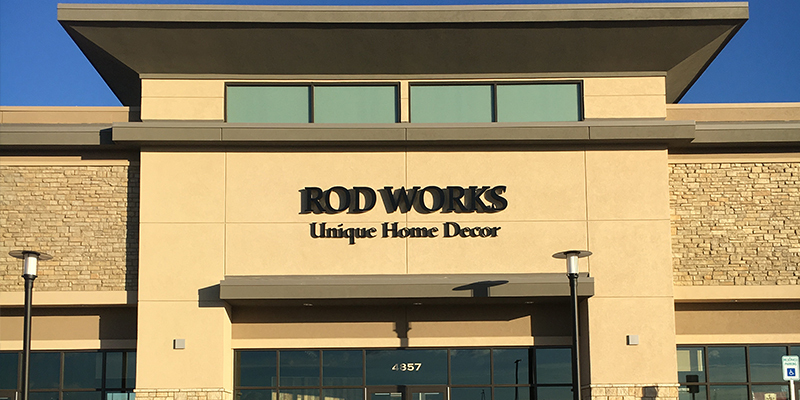 The staff at Rod Works love fall decor and you’ll see that as soon as you walk into our decor store in Johnstown. And what we love even more is helping our customers find pieces that they can’t wait to bring home with them. From the small details to the larger focal pieces, find everything you need and more here.